Hi everyone! 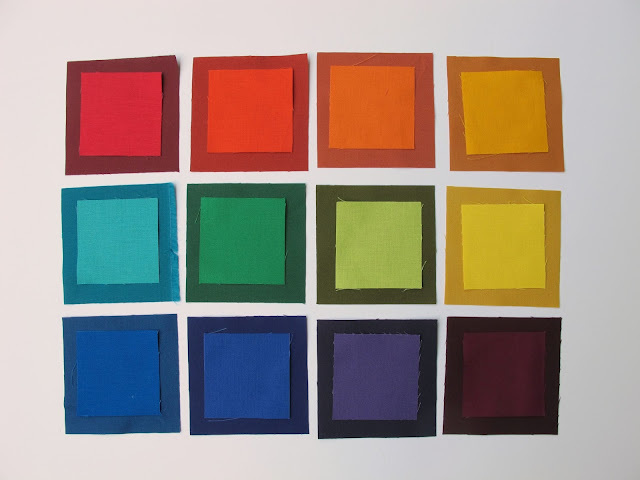 Here is our last block for Tints,Tones and Shades. All three of these blocks have had to do with Value, which is how light or dark a color is. 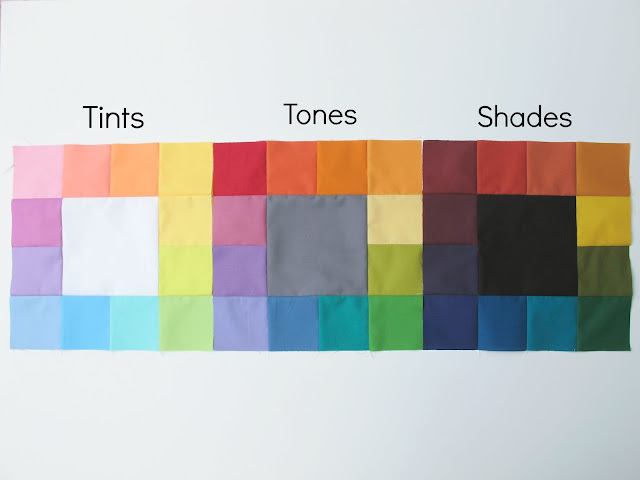 Tints are the lightest values, Tones are the mid values and Shades are the darkest values. Value is important because you can use it to create variety, contrast and interest in your blocks and quilts! 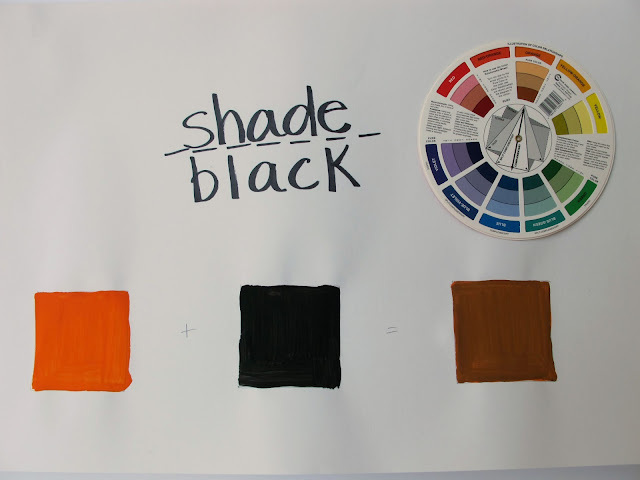 Shades are created by mixing any color with black. More black gives you darker shades, a little black gives you somewhat lighter shades but they're all dark. All three blocks together show the progression from lightest to darkest. And finally, it's been THIRTEEN weeks! 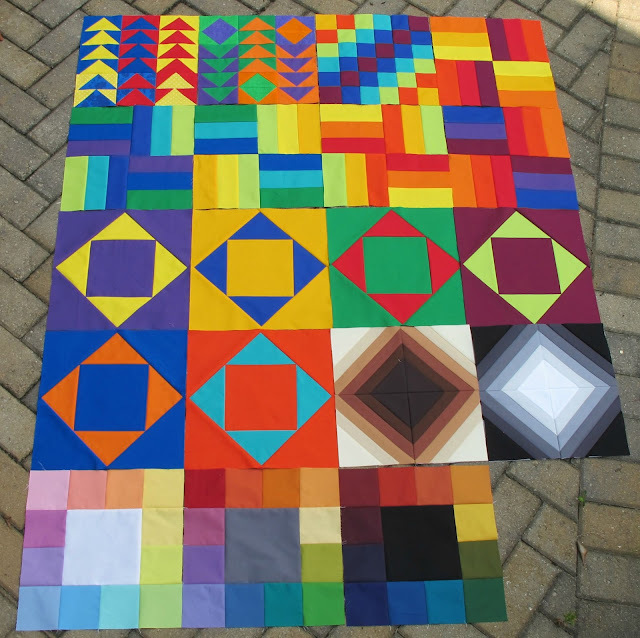 We're a quarter of the way through and I didn't let my lack of a design wall stop me from laying out all my blocks so far to check my progress! 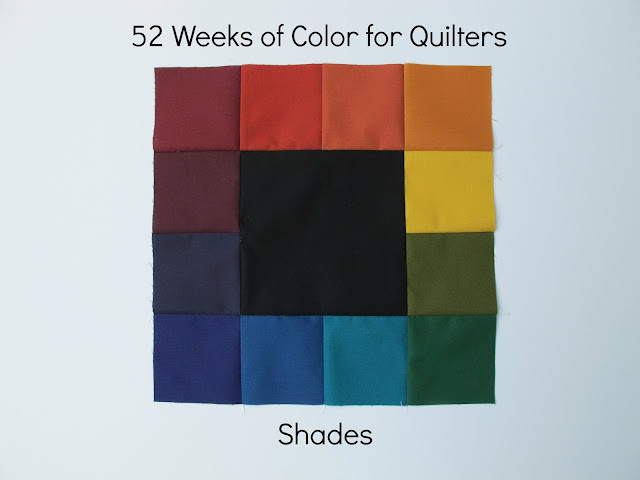 I'm loving this riot of color and I'm really looking forward to continuing this project. Thanks for following along!